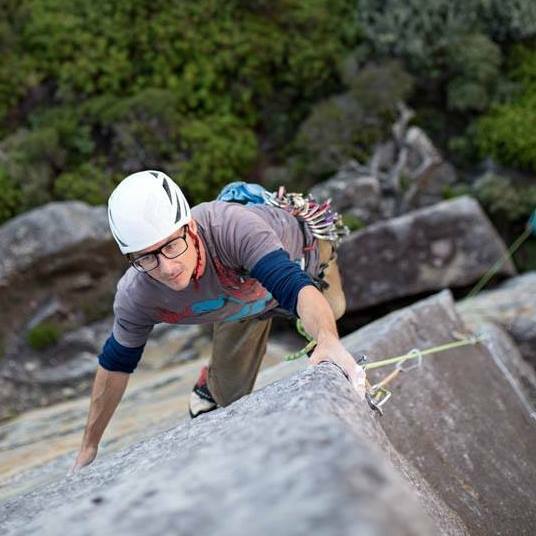 Warm up with a good walk, and perhaps even a stop off at Tribute Wall, and then go crush something hard at the true birth place of sport climbing in the Grampians, Van Diemen’s Land. To quote the climbing guide book: ‘pockets, flakes, cracks, crimps and giant huecos and slopes all combine to create a varietal theme park for the sport climber’. You will need to be able to at least project Grade 22s. VD land involves very steep climbing and is not generally suitable for top-roping or seconding. Warm up, climb hard and then recap the day with wine or beer in hand back at camp. On the Sunday we may head to a more accessible crag so that it’s easy to head back home. If you are interested in joining the VCC on this trip, please contact the Trip Leader, Hywel Rowlands, to secure your place and to find out more details. Trip Leader Hywel Rowlands styling up a technical arête. 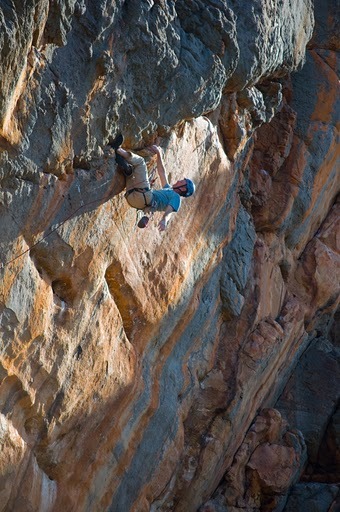 Steve Chapman leading the stunning Velvet Goldmine** (27) at VD Land.